We are proud to be an independent optician and have strong relationships with all our suppliers which means our customers get great choice. At Martin Smith Opticians we have access to lenses from all of the most prestigious lens suppliers in the industry including Hoya, Rodenstock, Nikon, Zeiss, Essilor, and many more. Today, there are more lens options available than ever before. 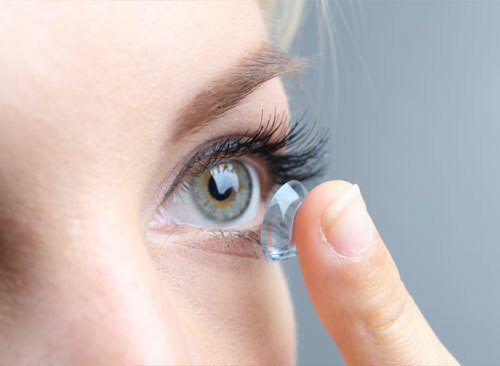 Those with a higher prescription have the opportunity to choose thin and light lenses which vastly improve both the comfort and the appearance of the strongest prescription. We offer the latest progressive lens designs with wider fields of view, free-form & digitally surfaced to bring our patients natural clear vision across the viewing area. Indoor lenses, specifically designed for patients whose visual tasks are predominantly near or intermediate work requiring clear vision of up to 5m. No more neck pain from wearing standard progressive lenses while working on a computer for hours a day. These lenses are so comfortable to wear you will wonder how you ever managed without them. Photochromic lenses darken and lighten depending on the UV light they are exposed to, which means you won’t need to worry about changing your spectacles when you go from indoors to outdoors. Additionally, we offer a wide range of coatings and tints. We always recommend a hard multi-layer anti-reflection coating on all the lenses we supply, as this reduces reflections from the surface of the lens, allowing improved visual clarity. Sports Lenses to ensure your performance at the highest level is enhanced by the choice of the most effective choice of lenses which can be glazed directly into wrap-around sport spectacles and sunglasses. If you would like more information about the lenses, tints and coatings we supply, or to book an appointment, please contact our friendly team by calling 01522 521100. New to Martin Smith Opticians? Download your voucher to get £20 off your first eyewear purchase.